The managerial nominees include Sunderland's Jack Ross, Barnsley's Daniel Stendel, Luton's Mick Harford and Plymouth's Derek Adams. Aiden McGeady and Adam Davies of Sunderland and Barnsley, respectively, are also up for the player award, joined by Southend's Simon Cox and Fleetwood's Harry Souttar. A project costing six-figures is under way to upgrade Portsmouth's Fratton Park. The Addicks' managerial duo are out of contract in the summer, who are well-placed to secure a second consecutive top six place. 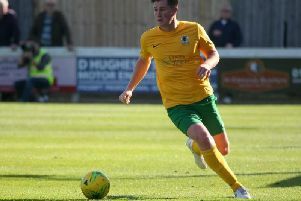 Rowe, a versatile right-sided player, joined on trial last week and featured in the Irons' U23's 2-2 draw with a Rotherham United. According to the FA’s disciplinary code, managers are awarded a one-match suspension after receiving four stage one warnings. Full story here. Swindon Town have reached an agreement in principle to buy the County Ground for £2.2m from Swindon Borough Council, jointly with the club's supporters. The deal will need to be ratified at the council's cabinet meeting on 20 March, but is expected to be approved. The Supporters' Trust will launch a community fundraising campaign to raise their half of the cash, selling shares.